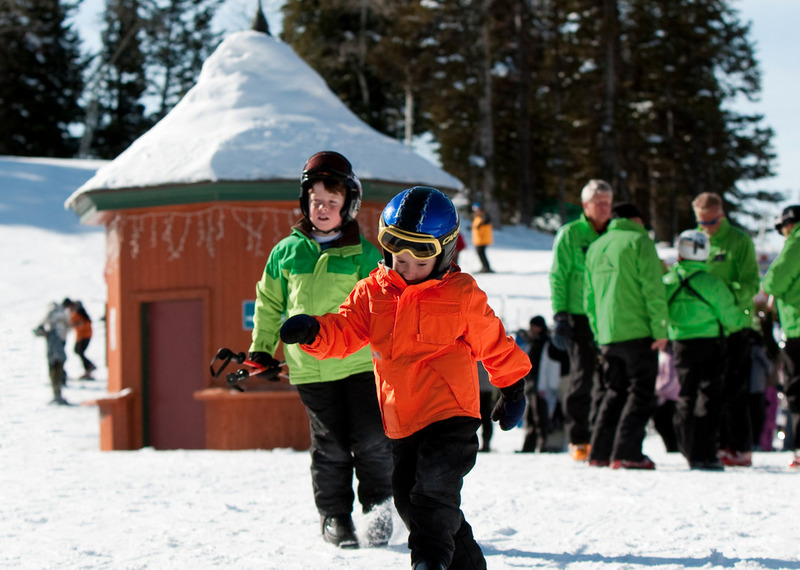 Browse through our collection of photography from Grand Targhee Resort to get acquainted with it before your ski trip or to relive great memories on the slopes at Grand Targhee Resort. 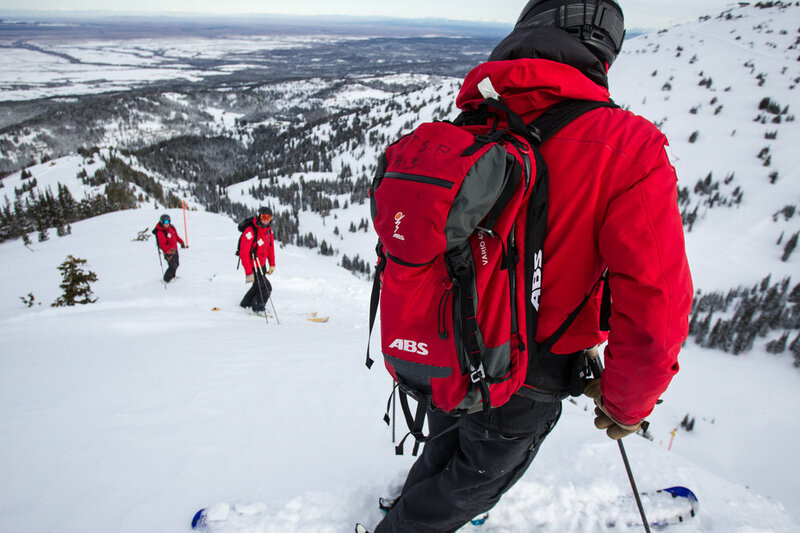 The very important job of keeping skiers safe is not without its perks. Lindsey Fell rips some powder on her way down from the top of Peaked after all the avalanche work is complete. 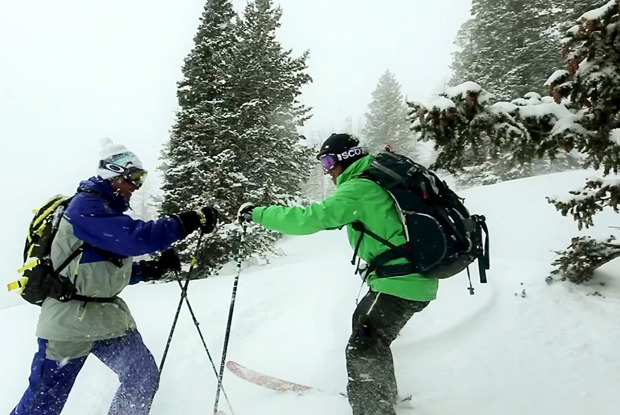 An instructor and snowboarder in the Knowledge is Powder Camp hike to a stash. 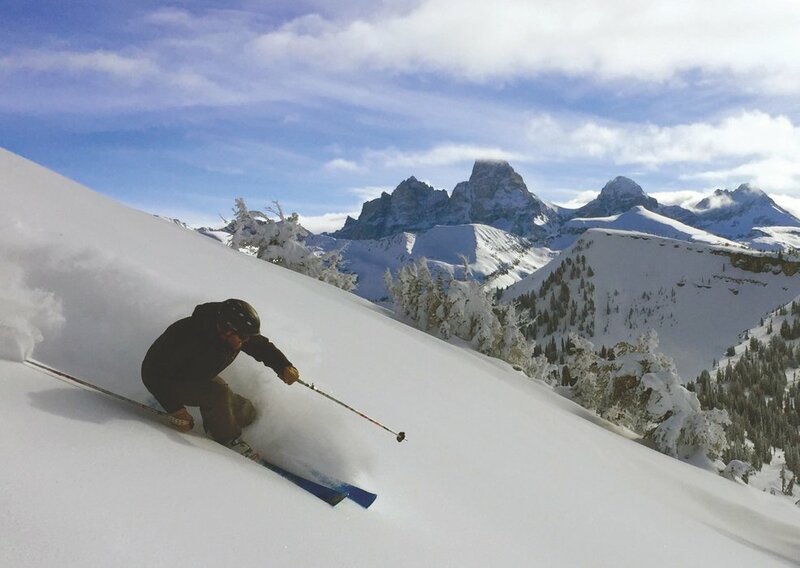 Skiing powder at Grand Targhee with a view of Grand Teton. 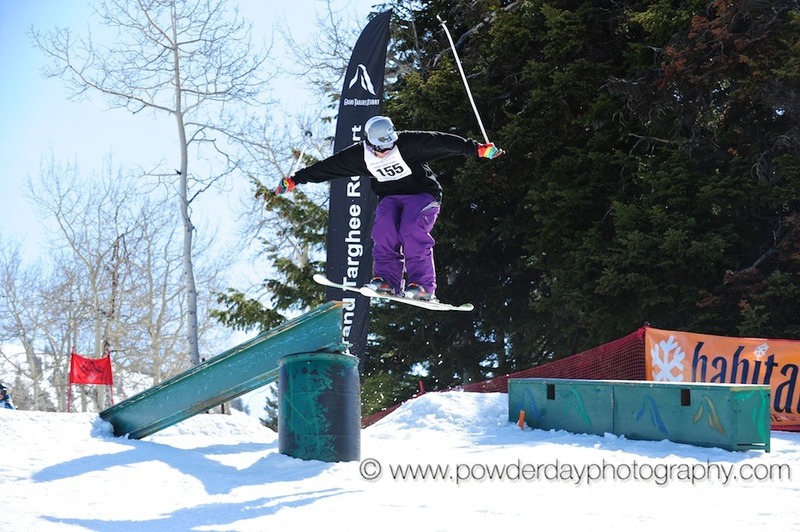 Getting face shots at Grand Targhee. 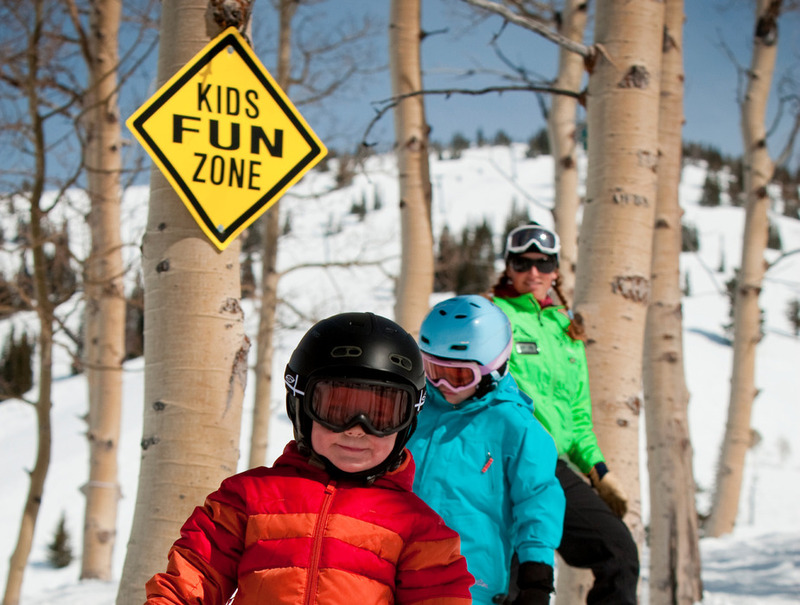 Kids lessons at Grand Targhee. 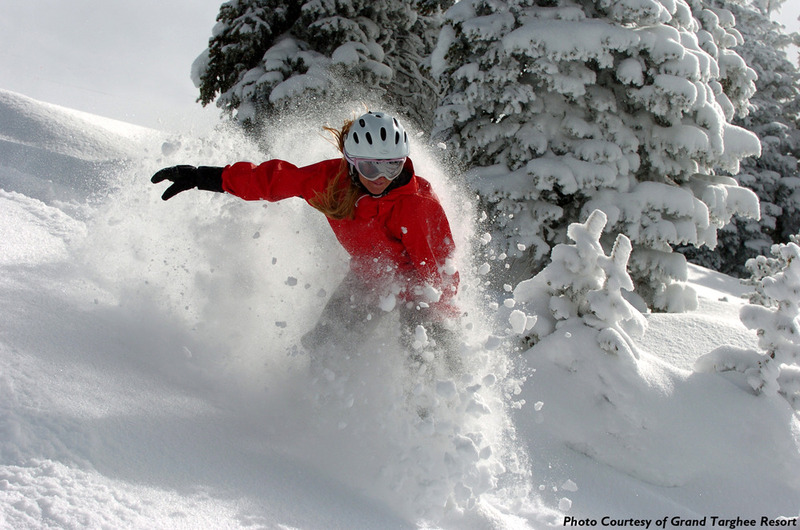 Photo courtesy of Grand Targhee Resort. 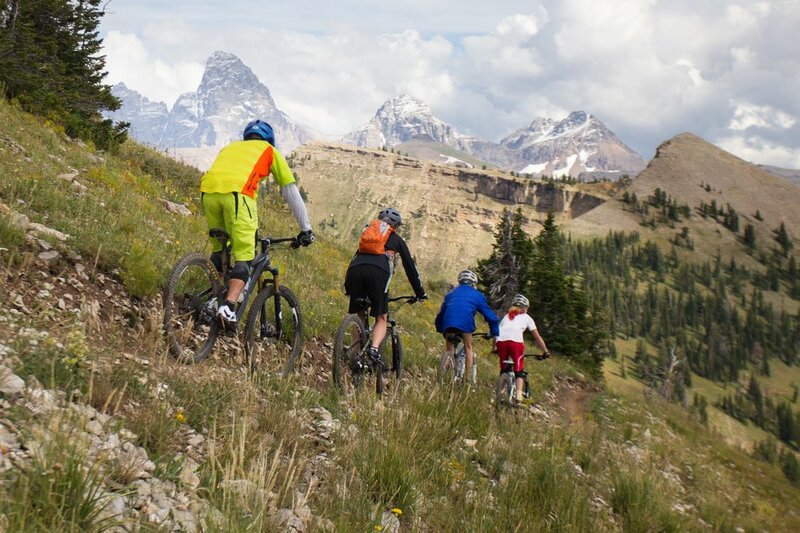 Grand Targhee mountain biking has scenic family-friendly trails and technical downhill trails with views of Grand Teton. Dave Thibodeau, Lindsey Fell and Joe Calder protect their ears from a safe zone well above the explosion. 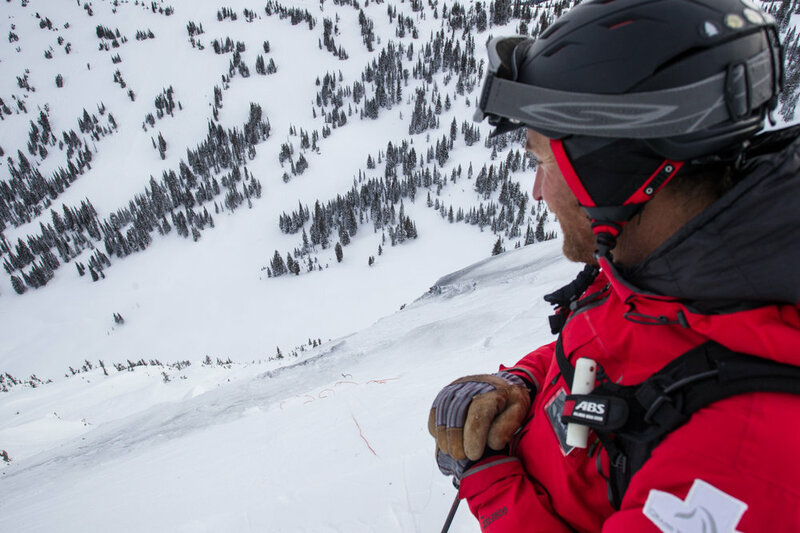 Calder points out small sluff avalanche areas that released after ski cutting. 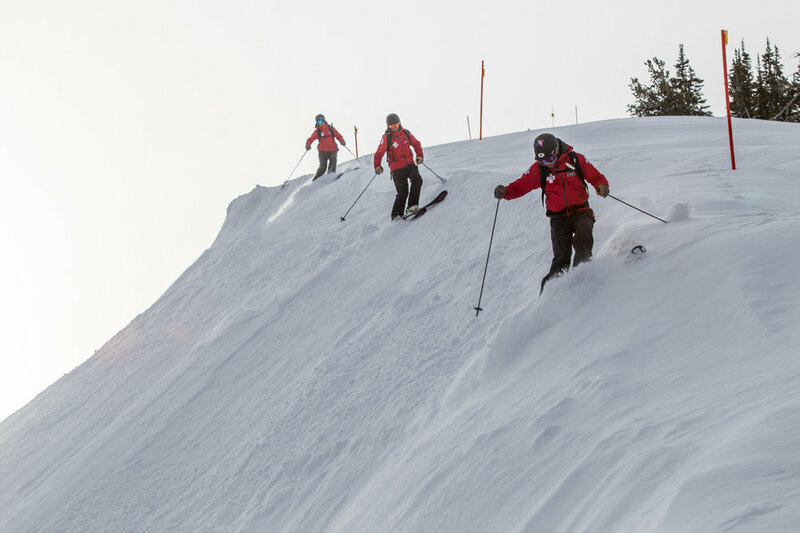 Grand Targhee patrol ski cutting in formation. 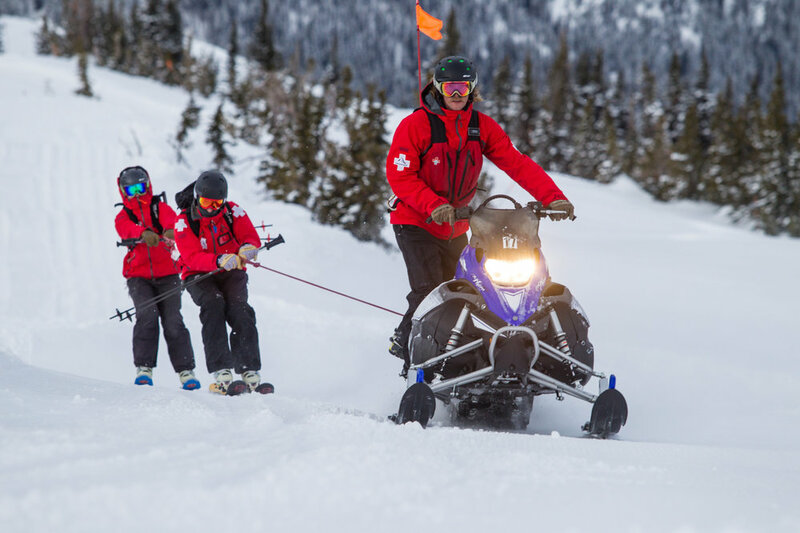 Calder relays the plan as the patrol team prepares to ski cut the steepest open terrain on Peaked Mountain. Thibodeau ski cuts a slope after throwing a hand charge to clean off any remaining snow that could slide later once the mountain is open to the public. 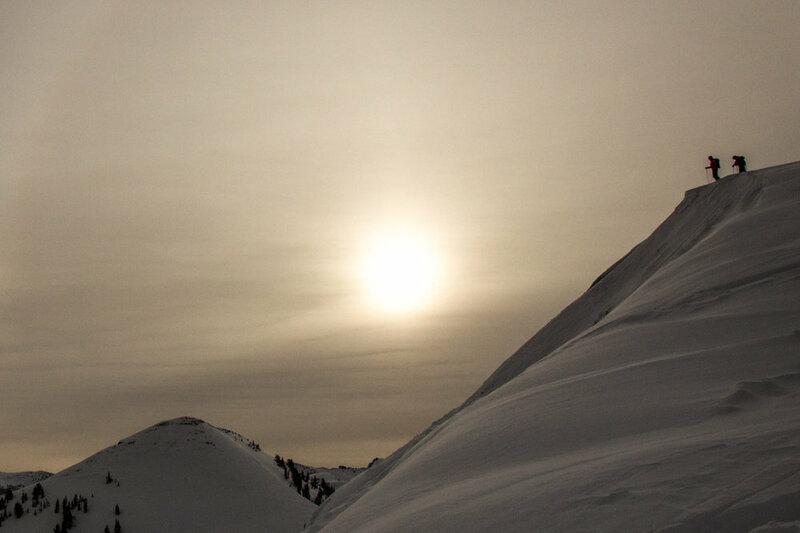 Pre avy bomb views as the sun rises over Grand Targhee. 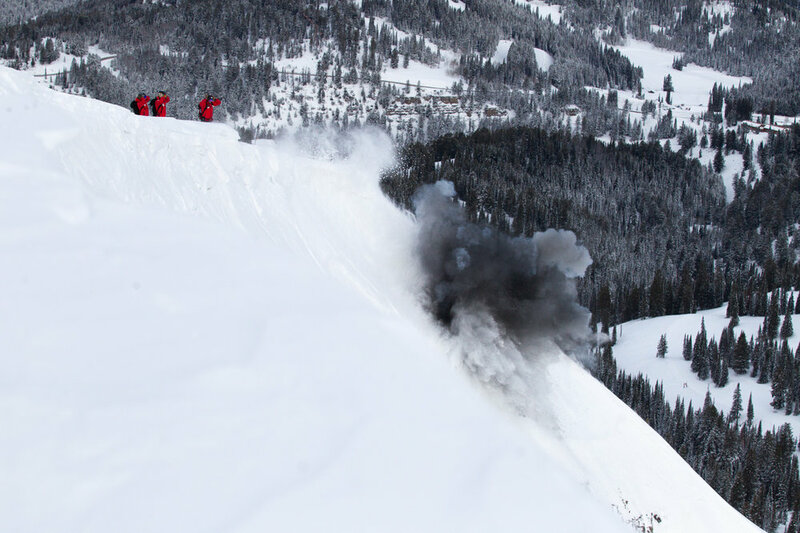 Calder examines the slope to see if the explosion cleared the dangerous layer of snow. 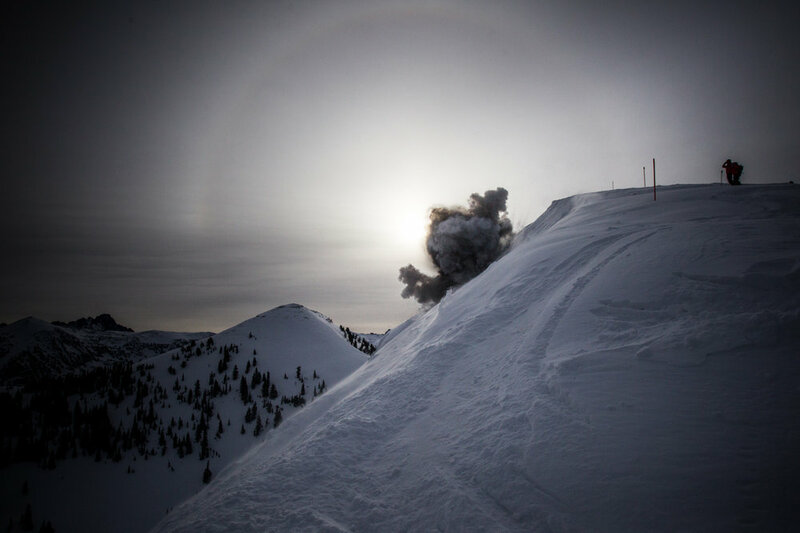 Joe Calder tosses a charge approximately 20 meters down the north face of Peaked Mountain attached to rope so it would tumble down the face prior to detonating. Bombs away! 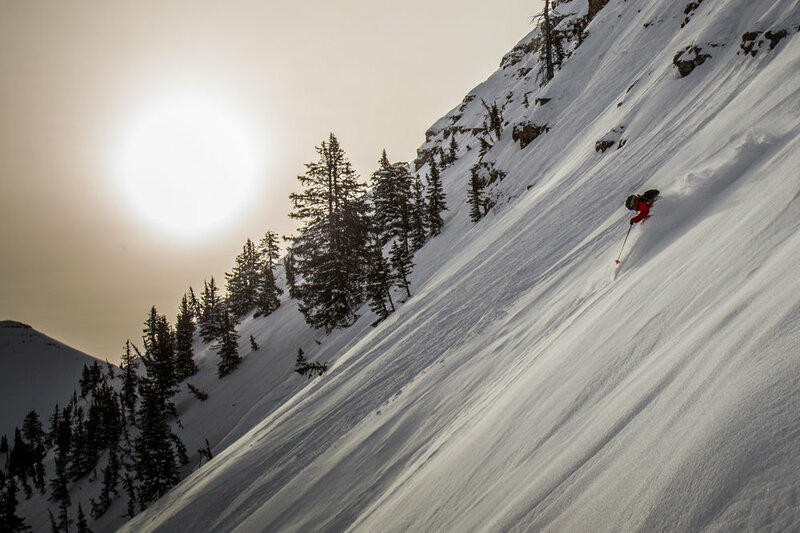 Dave Thibodeau throws a charge off the east side of Peaked Mountain. 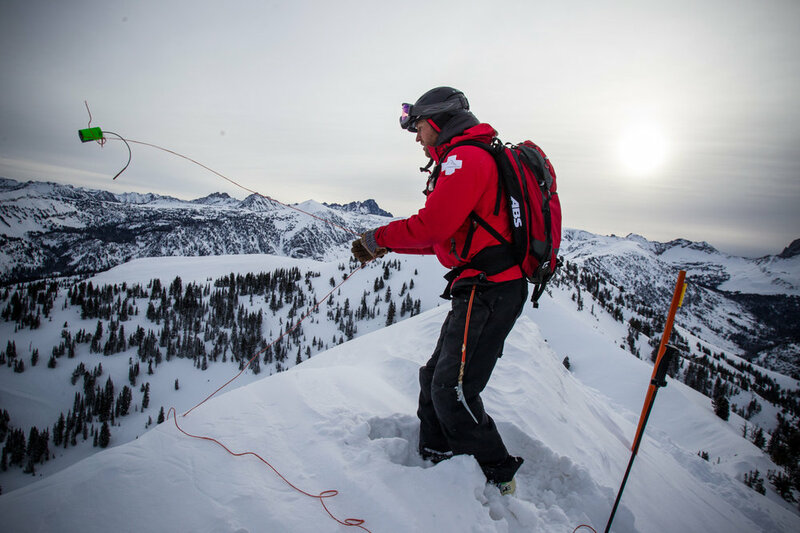 Grand Targhee ski patrol crew bootpacks up the last pitch to the summit of Peaked Mountain to begin avalanche mitigation. Long hikes and hard work offset with a tow to the top of Peaked Mountain. 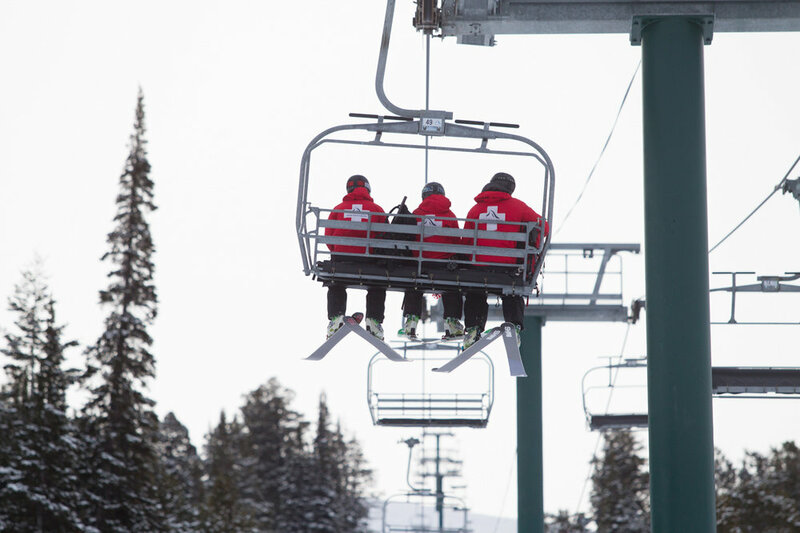 Dave Thibodeau, Lindsey Fell and Joe Calder ride up Sacajawea lift. 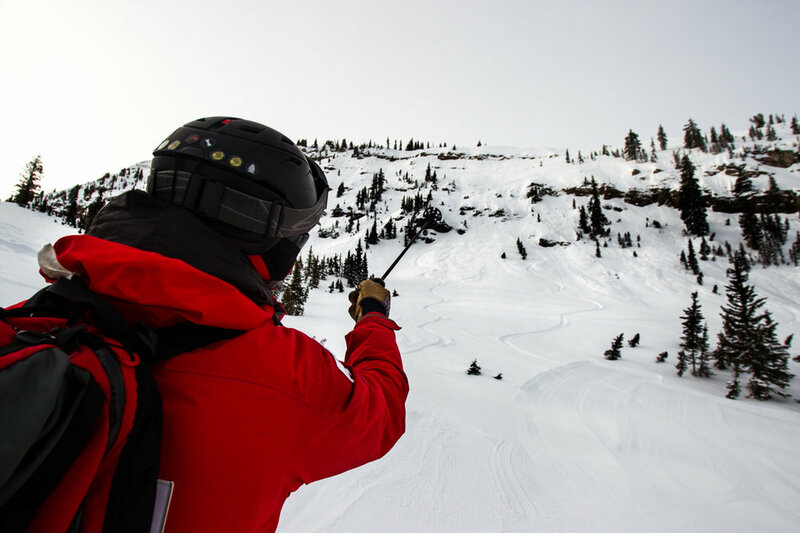 Grand Targhee ski patroller Joe Calder goes over the morning avalanche route plan as Dave Thibodeau and Lindsey Fell boot up. 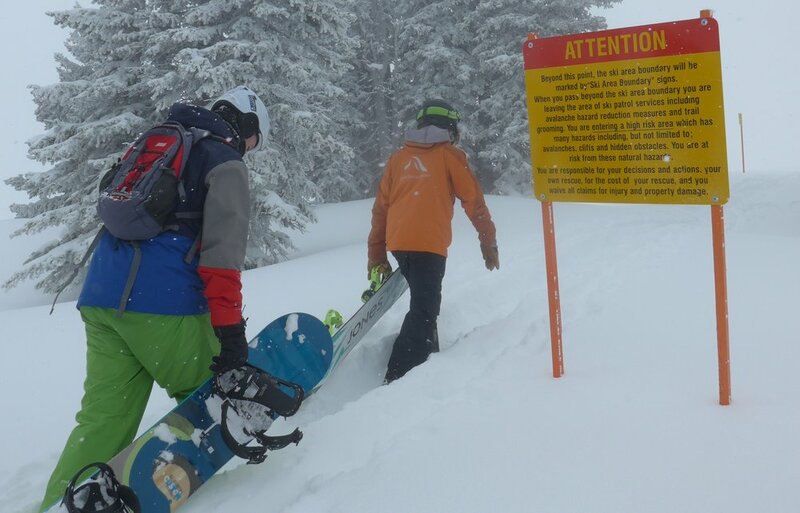 Grand Targhee topped the deepest snowpack in the West by late February. Grand Targhee Ski and Summer Resort in Alta, Wyoming. Copyright: William R. Sallaz/Grand Targhee. 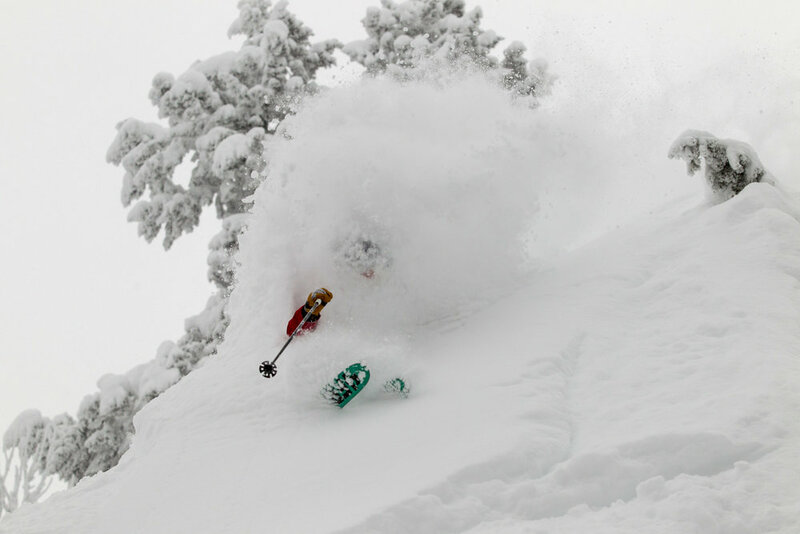 MLK Day 2015 Powder Forecast. 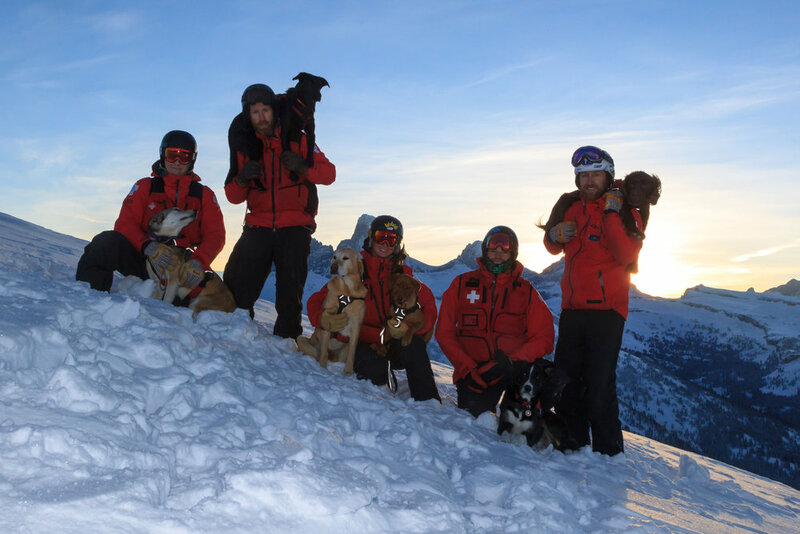 David and Yuki, Jason and Tuka, Becca Leo and Ivy, Kevin and Burdock, Joe and Otter from Grand Targhee. 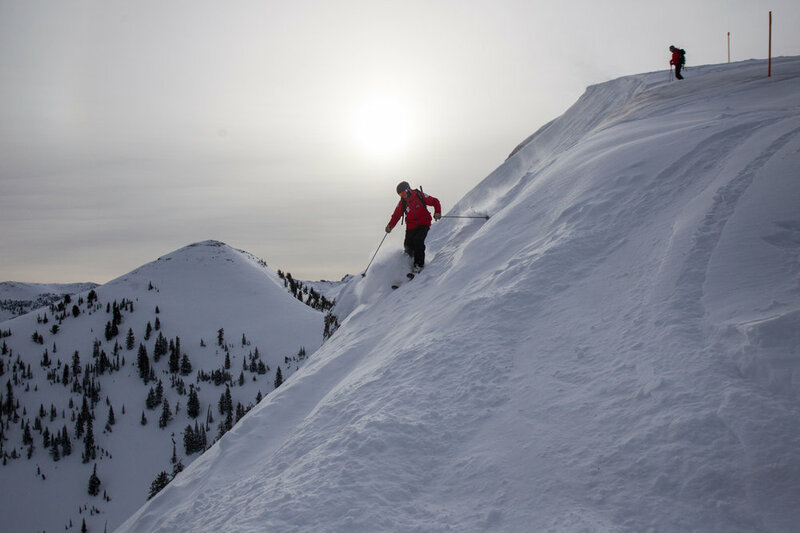 Grand Targhee yields big Teton Mountain views. 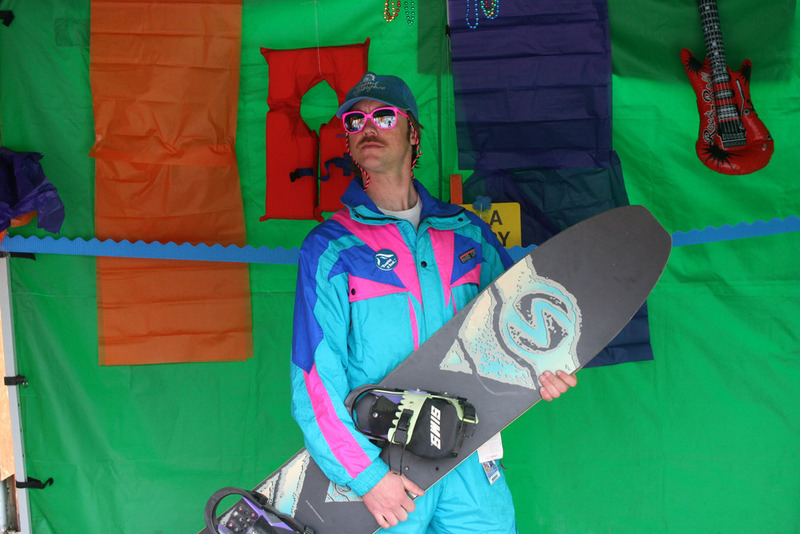 Neon comes out for the 80s weekend at Grand Targhee. 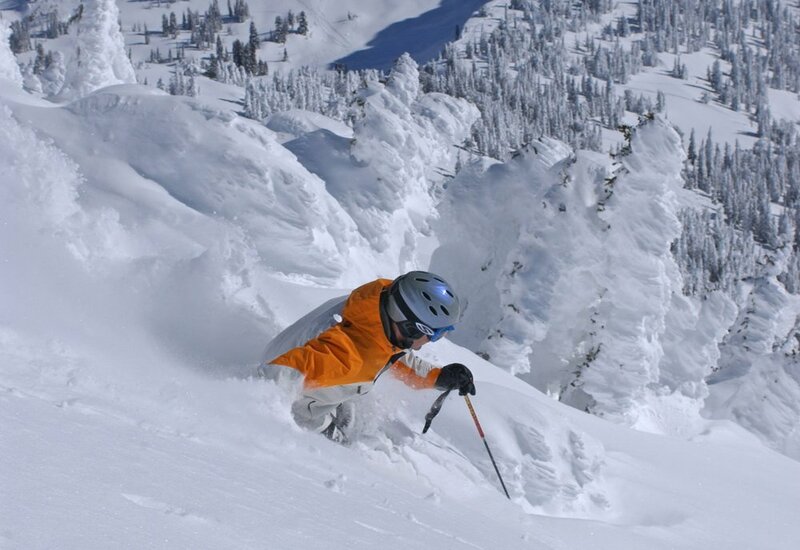 Photo courtesy of Grand Targhee Resort. 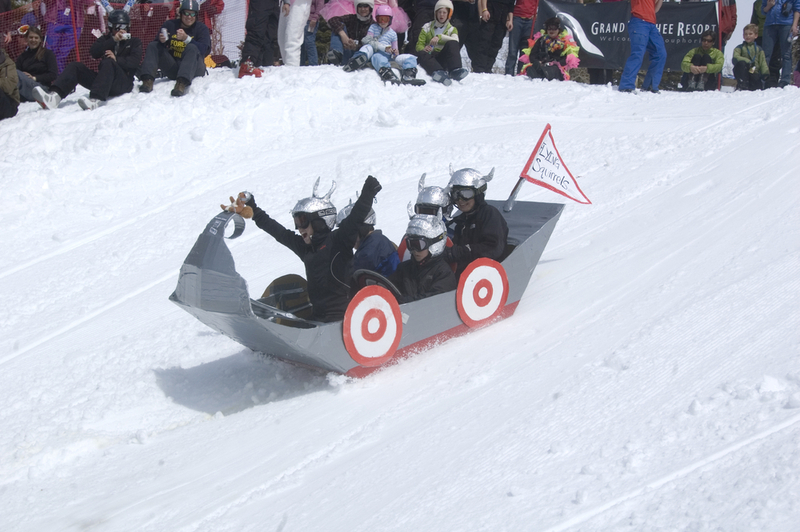 Cardboard box racers at Grand Targhee's finale weekend. 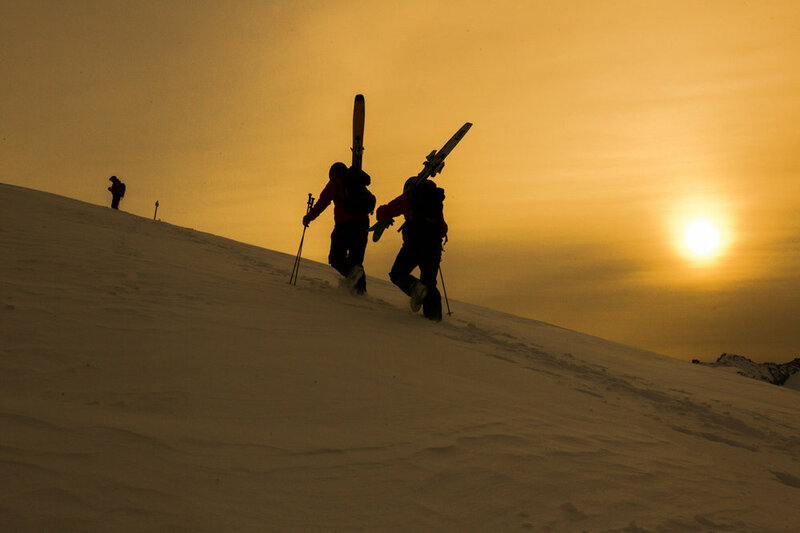 Photo courtesy of Grand Targhee Resort. 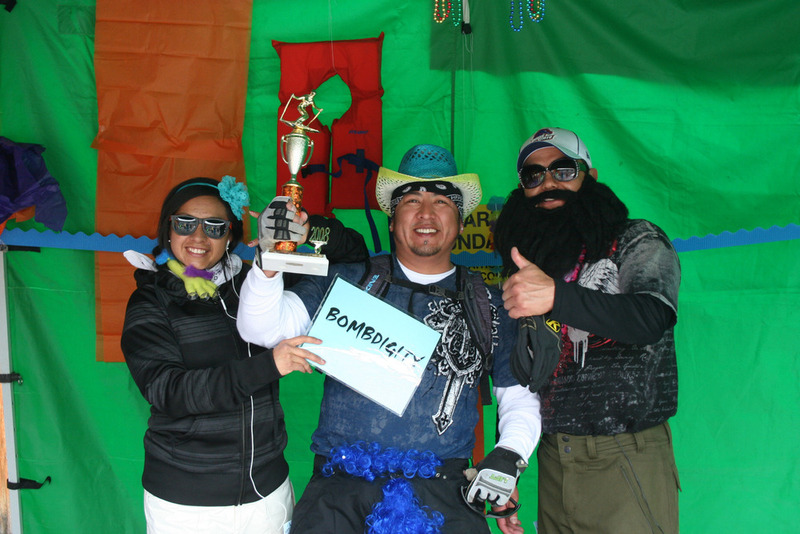 Neon and air bands reign during 80s weekend Spring Breakaway at Grand Targhee Resort. 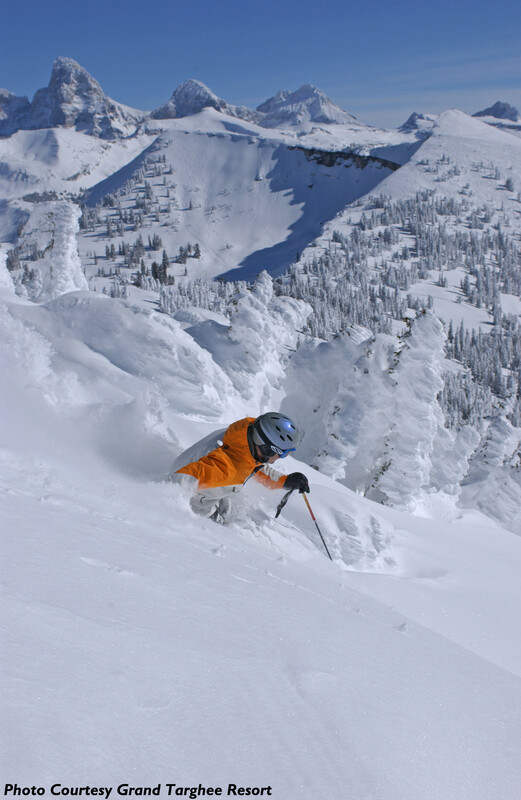 Photo courtesy of Grand Targhee Resort. 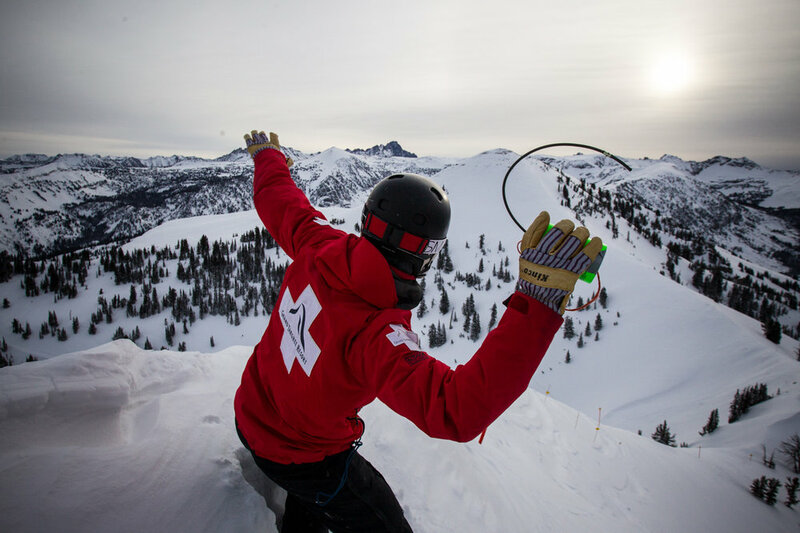 Spring Breakaway rail jam at Grand Targhee Resort. 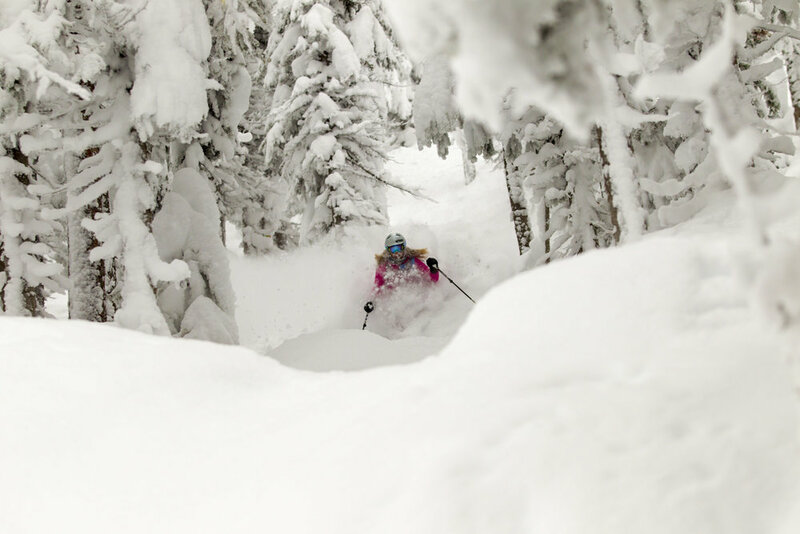 Photo by Powder Day Photography,courtesy of Grand Targhee Resort. 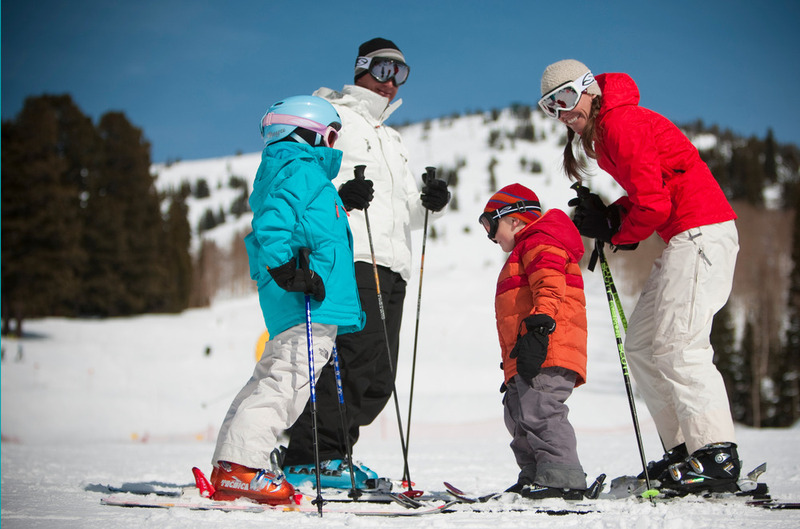 Spring Breakaway at Grand Targhee Resort. 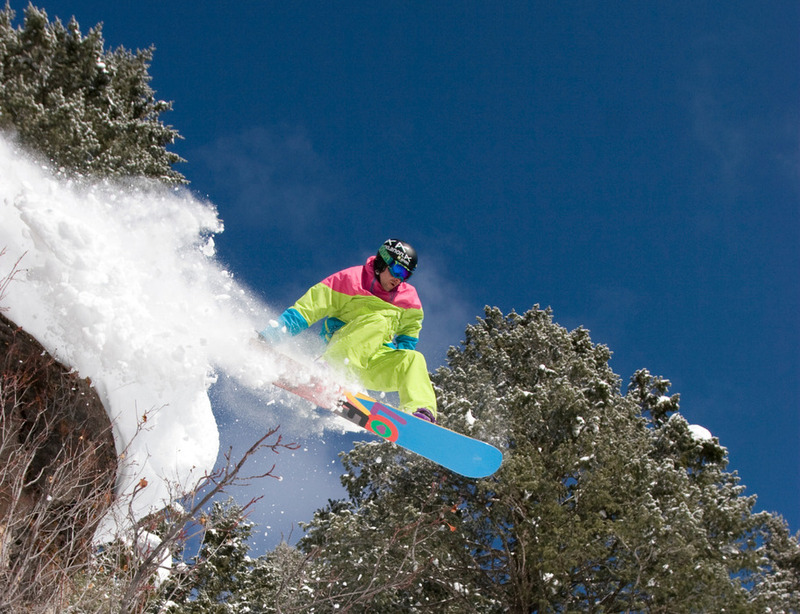 Photo courtesy of Grand Targhee Resort. 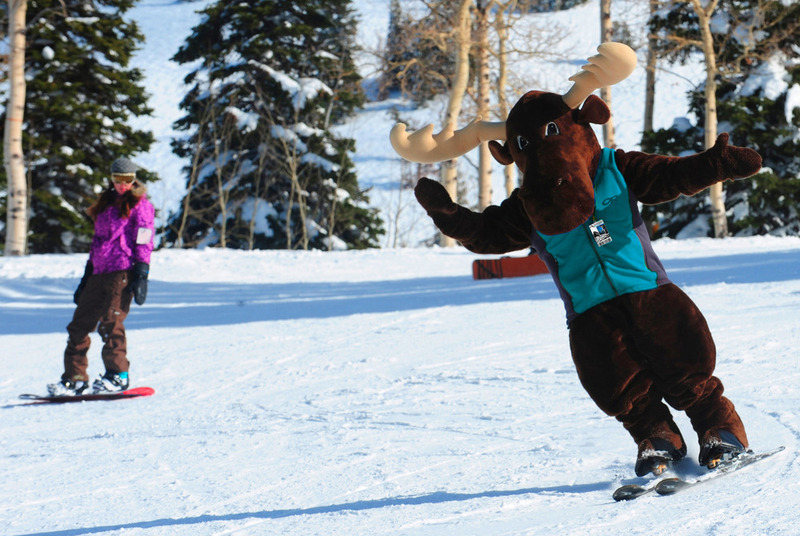 Grand Targhee moose mascot. 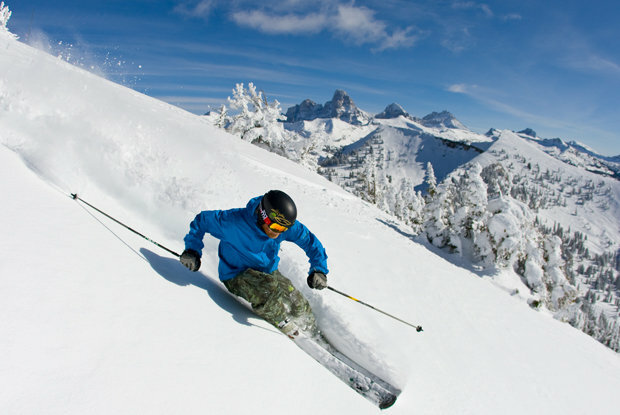 Photo courtesy of Grand Targhee Resort. 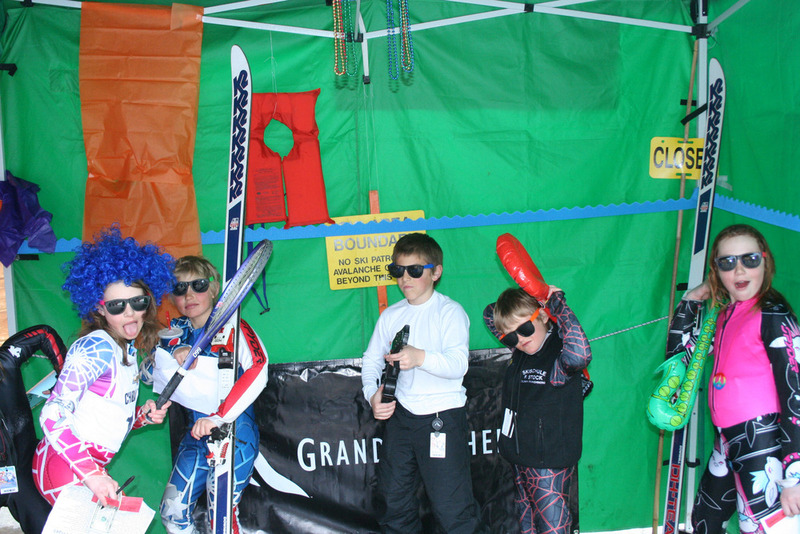 Grand Targhee has a fun zone for kids. 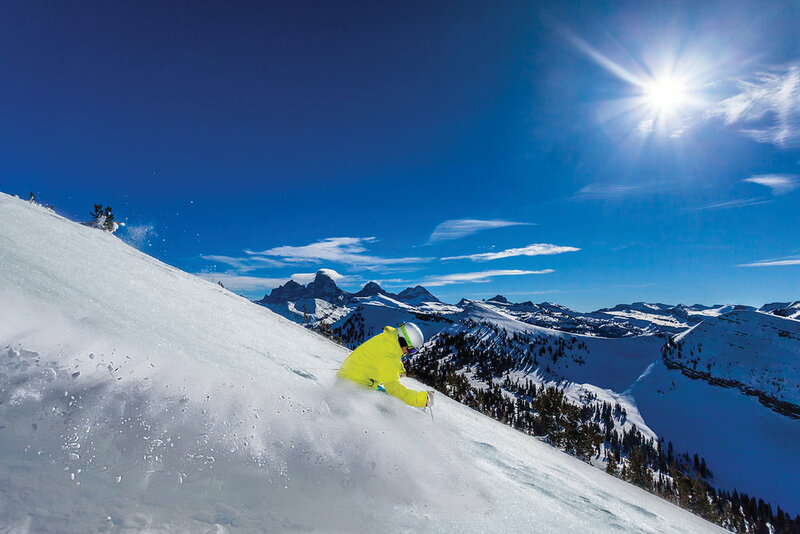 Photo courtesy of Grand Targhee Resort. 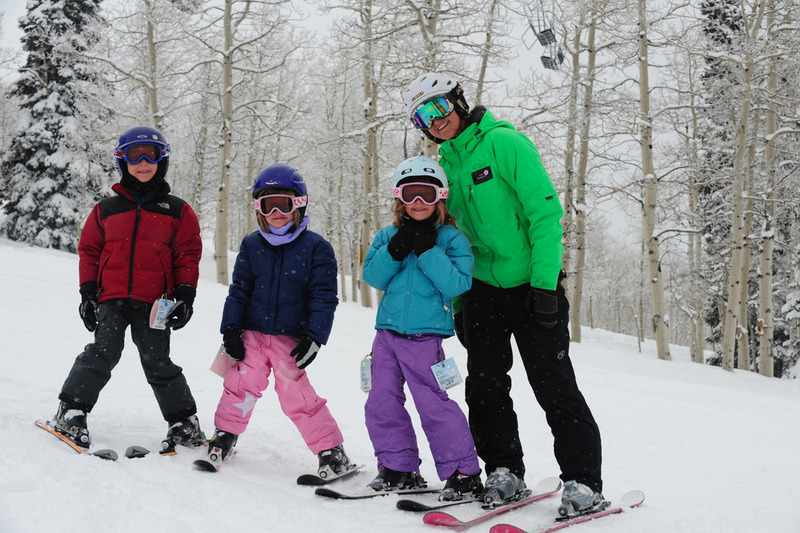 Kids getting ready for lessons at Targhee. Courtesy of Grand Targhee Resort. 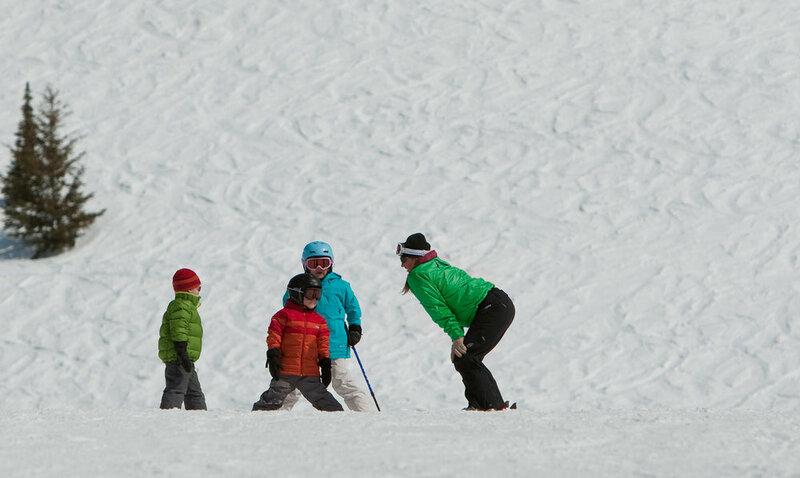 Families can ski together at Grand Targhee. 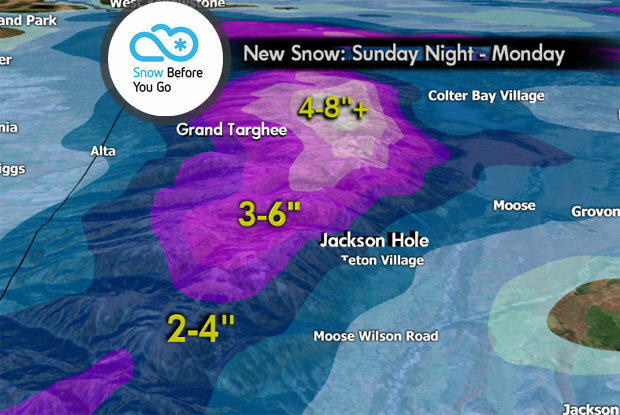 Photo courtesy of Grand Targhee Resort.